Introduction: Is there anything more thrilling in the realm of sportfishing than the topwater strike? 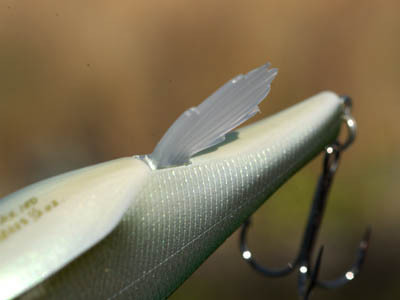 In fact, for black bass fishing, there are so many different types of topwater that anglers can easily exhaust the layout space on their front decks with rods dedicated to each different topwater technique. 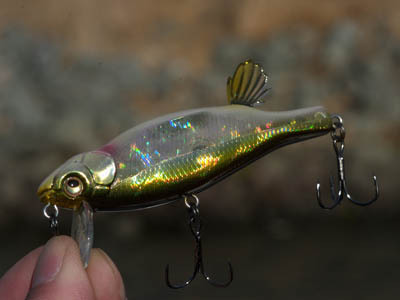 There are cigar baits, poppers, buzzbaits, frogs, toads, wake baits, among others. Today, we bring to you the story of an eccentric series of topwater baits that combine a few of these techinques in one, the Megabass Anthrax and Anthrax 100. Impressions: Confusion, disarray, flabbergasted - three words not often associated with bass fishing except when it comes to the latest and greatest creations from one of Japan's premiere tackle companies. The Anthrax and Anthrax 100 are two versions of the same bait sharing, of course, the same basic silhouette which in and of itself is nothing out of the ordinary except for the fact that ordinary for these two baits is what's upside down for most others. Got that? Exactly! 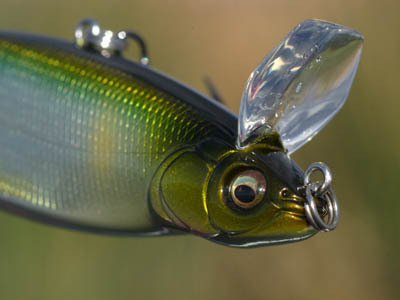 This lure is quite unlike any other bait I've seen or used. 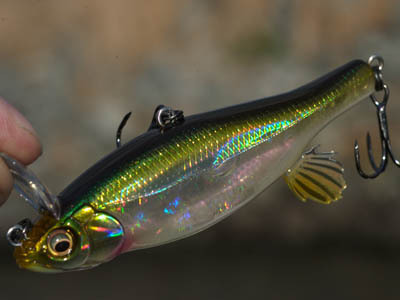 With the shape and size of a prototypical minnow bait, the actual configuration of this lure in relation to others is the same as the relationship of the south pole to that of the north. In other words, the Anthrax is built upside down and downside up. My initial impression of this bait was that it's simply a topsy tervy jerkbait. Of course, this is not true, the Anthrax is so much more. 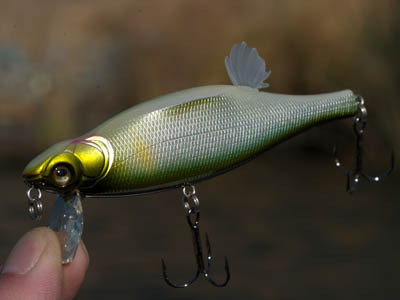 As it turns out, the Anthrax is a topwater bait built to mimic fleeing and injured baitfish, the favorite forage for many of our most sought after gamefish. The Field Tests: What better way to uncover the mystery of a new bait than to take it out on the water and see what it can do? Touted as a topwater bait, I pulled out two different rigs with which to fish them both consisting of six foot (6') rods for maximum flexibility working the lures. Casting: Once you get over the odd configuration of these lures and tie one on to sample, casting becomes pretty academic. Both the three-eighths ounce Anthrax and half ounce Anthrax 100 are easy to cast even in conditions of head and cross winds. 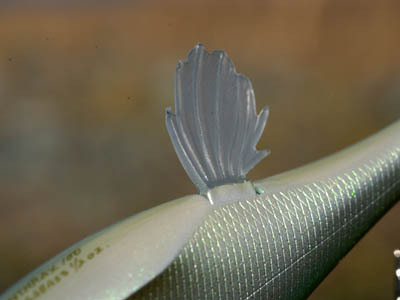 The odd, external fin is small enough to where wind resistance is not a factor. If anything the three-eighth ounce Anthrax casts like a bait that is heavier.